The ideal family kitchen with a modern country feel! This functional square panel design along with simple decor has an appealing yet 'no-fuss' feel - perfect in a busy household! 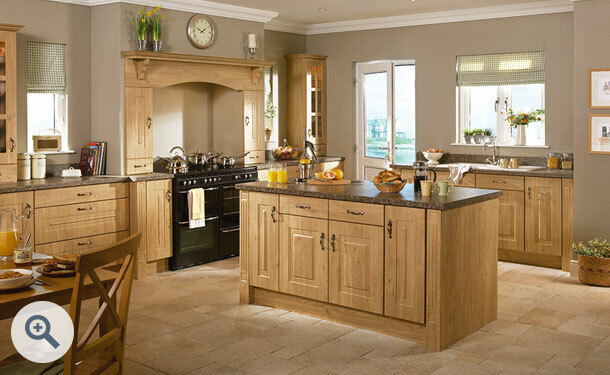 Replacement kitchen doors and drawer fronts in Winchester Oak effect start at just £6.41. Click the button to request a free large sample swatch of Winchester Oak. Click the button to purchase a Sample Premier Rosapenna design door in the Winchester Oak finish. 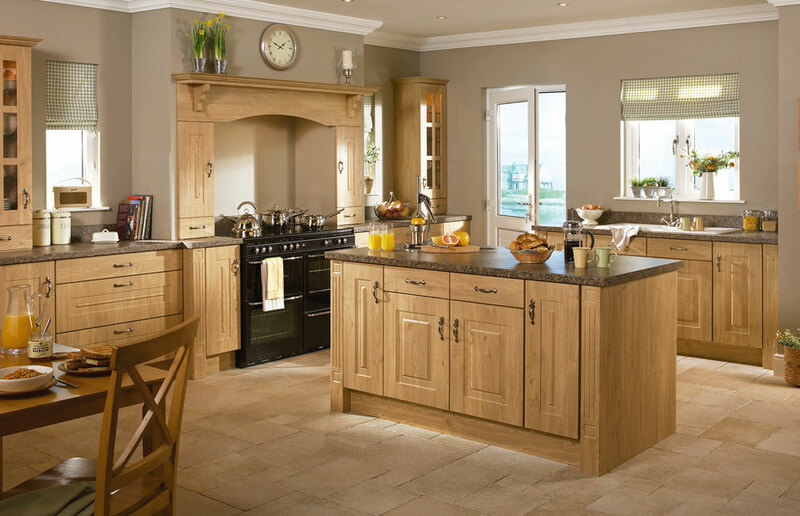 The Premier Rosapenna design is also available in ALL non-gloss finishes. The Premier Rosapenna design is also available in ALL high gloss finishes.